The National Chairman of the All Progressives Grand Alliance (APGA), Chief Victor Oye, has said the party is not supporting the re-election of President Muhammadu Buhari. This stand was against the believed romance between Governor Willie Obiano of Anambra State and President Buhari as agreed during the 2017 Governorship election and resealed during last Month’s China trip. 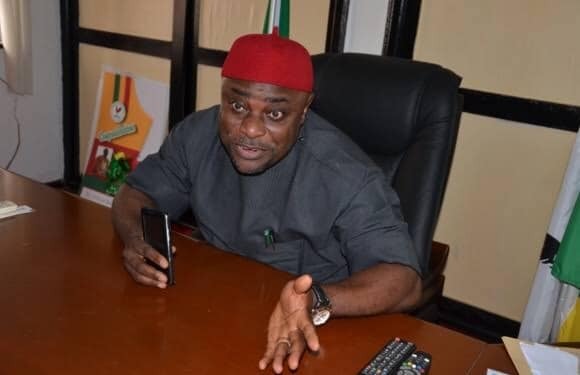 Speaking to newsmen on Wednesday, Oye said APGA had one of the best presidential candidates in the 2019 race. He said: “They say APGA is working for the APC; that’s balderdash. We’re not working for the APC; we’re working for ourselves. “APGA has chosen a presidential candidate in the election, General John Ogbor, and his running mate, Jerry Chukwueke, an international businessman. “He was a director of the army elite corp. That’s not a small feat in the military.